3 years after filming began for BoA's debut US film, then called "COBU 3D" now called "Make Your Move", and countless of maybe release dates for the US, it seems like Duane Adler and his team are ready for its official release on April 18 after YAHOO! 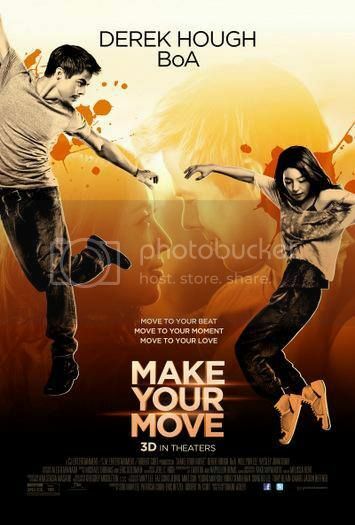 published a trailer on their "Make Your Move" movie page. Not much else has been released for the film. No MPAA rating nor critic reviews. Although the movie has already been released in various countries overseas and can be purchased online, who is planning to still go see it in theatres? Tell us in the comment section below! Already own it in HD but I'm gonna go see it in 3d when it gets released. I will watch both 3D and regular.. hopefully it will premiere it here in Canada.. and afterwards, will released the 3D-bluray too, i'm definitely sure to buy that..
Edited by jiro_ejlr, 03 February 2014 - 09:18 PM. Who cares, some people actually wanna support BoA. i've already watched it. I liked. But I watched it in english. I would definitely go and watch if it's released here in Peru !!!! xOOO My friend from the US even surprised me by sending me a postcard given to every KCON 2013's attendants... My treasure !!!!! !